While most people associate the miniskirt with the 1960s, there have been ancient figurines dug up in Europe that were also wearing miniskirts. Regardless of where the miniskirt originated, many are happy for it. Long legs strutting in the breeze. An easy and flirty way to keep cool in the summer. 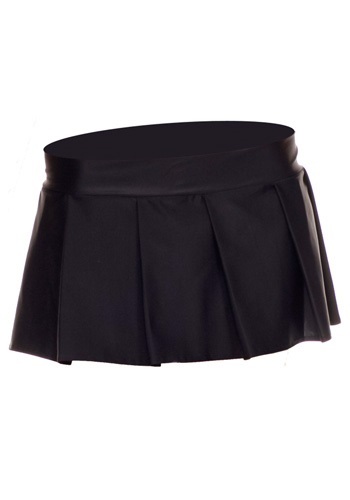 Or a great way to get out of gym class... Get a little flirty with this Black Pleated Skirt. Be whatever you want to be in this Deluxe Purple Hooded Robe! It can form the base for almost any kind of costume you can imagine, from a medieval peasant to a vampire or witch. It all depends on which fun accessories you choose! There are costume parties and there are masquerade parties. What is the difference? Both require costumes but a masquerade party always requires a mask to be worn. So if you're little girl is off to a masquerade ball then this costume is perfect for her! This Gothic Rag Doll Wig looks a little like the hair your doll had as a kid, but only if your doll looked like something from out of an Edgar Allan Poe poem. It's definitely not the kind of thing Raggedy Ann would wear out of the house, unless she was planning some sort of dubious act. 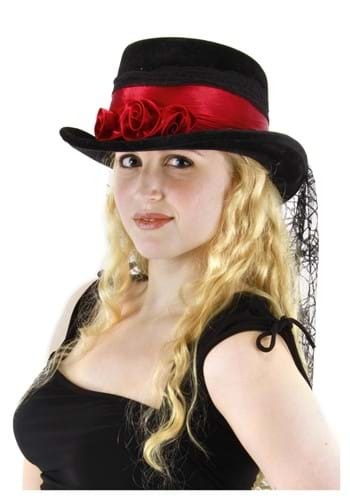 Though this Gothic Rose Top Hat is billed as Gothic, don't limit it to Goth or vampire costume ideas! The elegant black velvet hat with dark red satin band and rosebuds is an elegant topper to go with a showgirl or any Victorian-era costume. 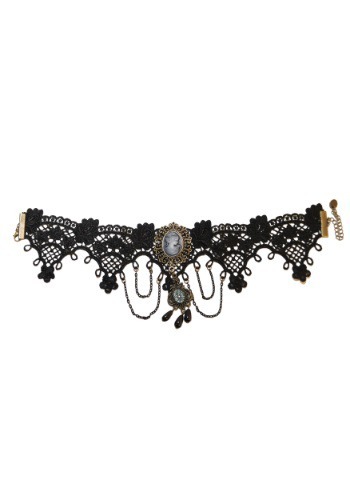 Do you fancy yourself to be a collector of Gothic inspired jewelry? 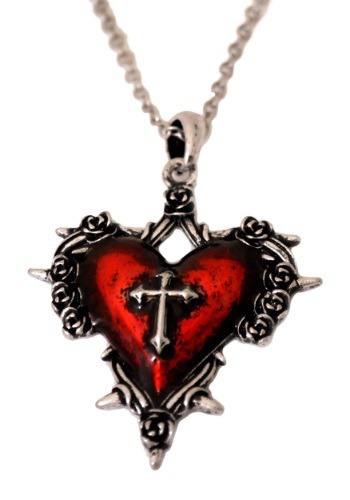 If so, you need to add this Heart Necklace w/ Cross to your collection. You can wear this piece with your favorite vampire-esque outfit or just a t-shirt and a pair of jeans. Become a cheerless leader in this Kids Gothic Cheerleader Costume! This tween costume includes dress, fishnet shorts, and a pair of pompoms. Be sure to add the matching Lace-up Glovelettes! Complete your look with our fur boot covers and stitched tights! 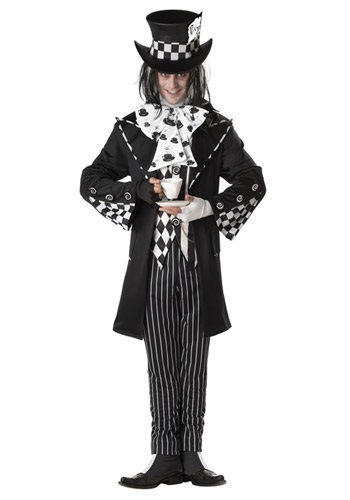 If the Mad Hatter decided to go Gothic, this Plus Size Dark Mad Hatter Costume is what he would wear! The ensemble includes pants, jacket, vest, top hat, bow tie, shoe spats and fingerless gloves. Have a tea party that's even madder than usual! Turn your little girl into a Gothic Bat this Halloween with this licensed Skelanimals Diego the Bat costume. Add a pair of black tights and black boots, and experiment with spooky makeup to enhance the Gothic look! Instead of being read bedtime stories, this rag doll would rather be reciting ghost stories around a campfire with her creepy friends. Now you can freak out your kid sister when you wear this cute Teen Gothic Dolly Costume. 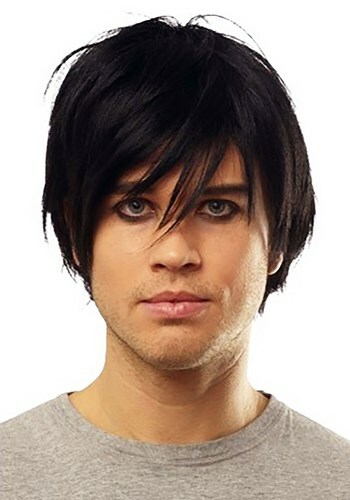 Pick up the yarn pigtail wig to complete the Goth look! 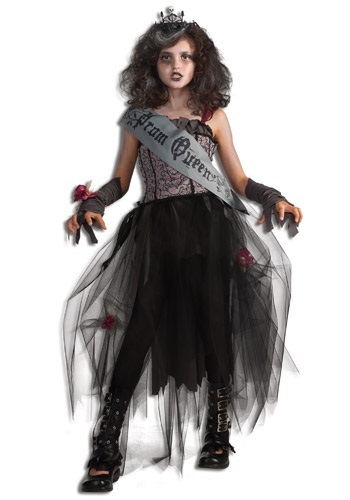 This Tween Rocked Out Zombie Costume is perfect for the punk rock girl who wants to look like a zombie! The ensemble includes a tunic, cropped jacket, leggings and belt. Add zombie makeup, combat boots, a zombie or rock star wig and our inflatable rock guitar, and get ready to do some undead head banging--you'll give new meaning to the phrase "death metal!" Classic vampire or voodoo doctor, whichever you choose to be you'll be one of the scariest, freakiest, sketchiest guys out there this Halloween! We can't say you'll be able to wield genuine voodoo just because you're wearing this spooky costume, but we can say that it couldn't hurt. 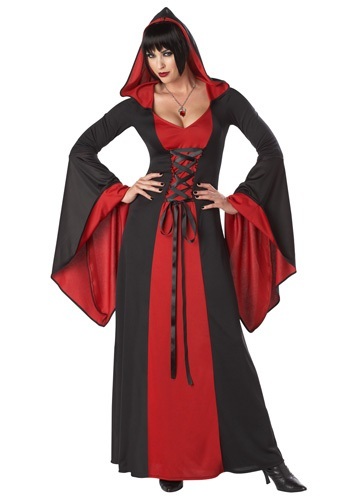 This Women's Deluxe Hooded Robe will make a great devil or vampire costume. Or, use your imagination and create any look you want. Add devil horns and a pitchfork accessory for a devil lady look, some fangs and a vampire cross necklace for a vampiress, or broomstick and hat for a witch, or....whatever else you can think of! Looking for something fun to wear this Halloween? Why not go as the spookily fun Voodoo Doll. 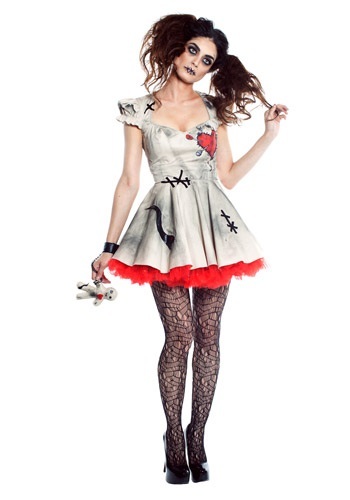 This adorable, rag doll dress will have you ready for any gothic themed party. Plus this dress comes with its very own voodoo doll so you can create your own curse this holiday!